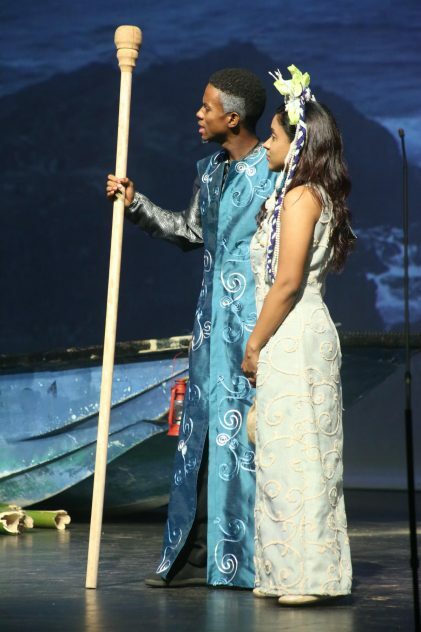 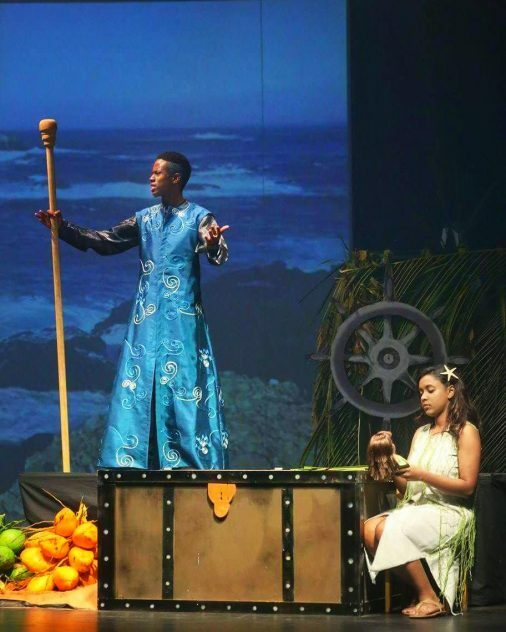 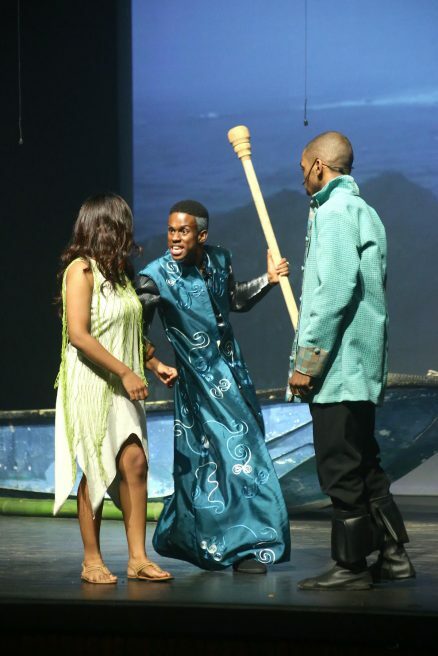 Shakespeare’s ‘The Tempest’ stimulated the imagination as we staged this play about an island, shipwreck, the native, the colonial, and as the drama unfolded about co-existence and dominance. 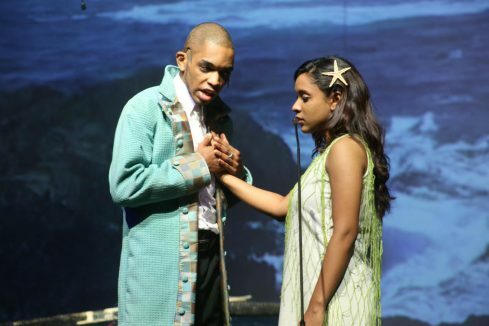 ‘The Tempest’, easily considered Shakespeare’s most ‘Caribbean’ play fascinates with its language and characters. Caliban, the native, declares “this island’s mine …” and is defiant in the face of Prospero who exerts power over him. 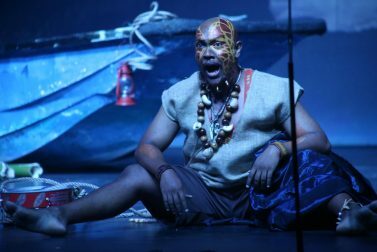 This play reveals resistance and revelry of the native in response to attempts at imposed authority. Our Caribbean eye sees the parallels, and features, that welcome Caribbean interpretation. 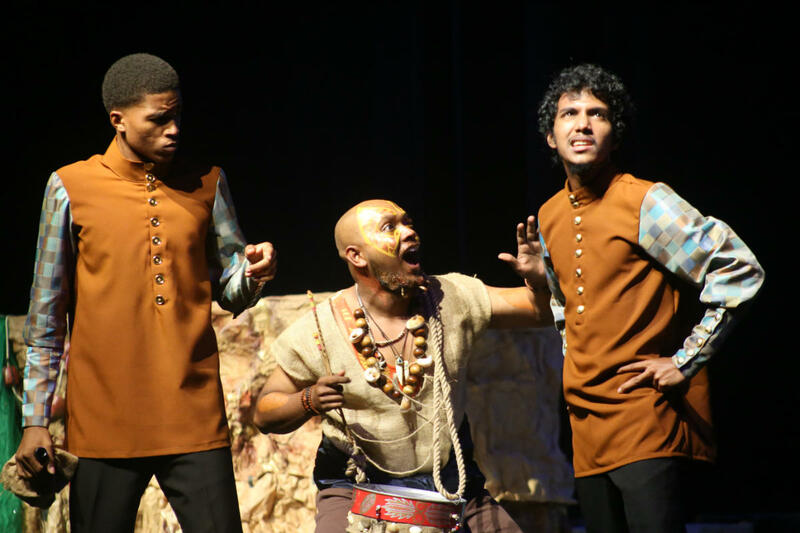 There is resistance in language, in verbal discourse and banter, in verbal venom, in posture, and in music, all signature elements of the Caribbean post-colonial position. 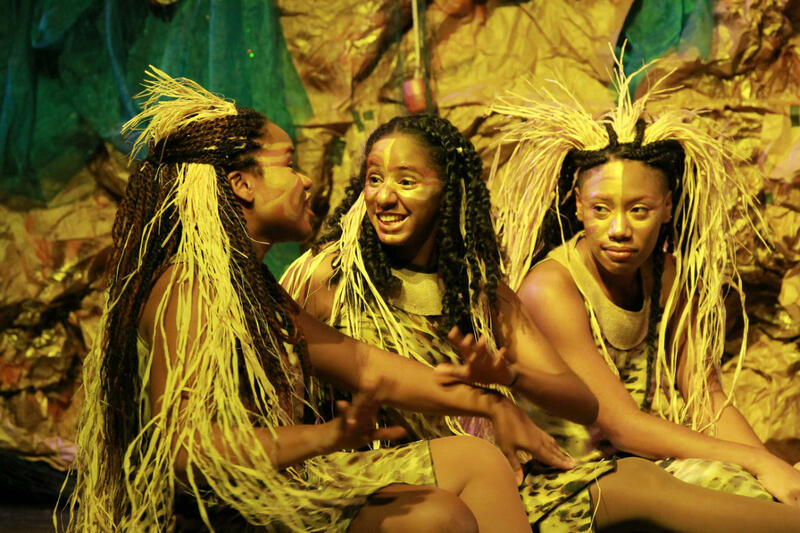 Shakespeare’s spirits translate to jumbies on the island, and the obeah they orchestrate is active. 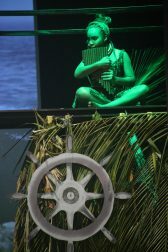 Ariel sings with Caribbean voice and melody, with strains from folksong and calypso. We have done Caribbean interpretations of Shakespeare’s ‘A Midsummer Night’s Dream’, ‘Othello’, ‘Julius Caesar’ and ‘Twelfth Night’.